It's time to treat your partner to an amazing date with mind-boggling delicious food. Take this quiz to find a spark of inspiration for how you should pamper your loved one. These questions will ask about your love life, your ideal date, and of course food! 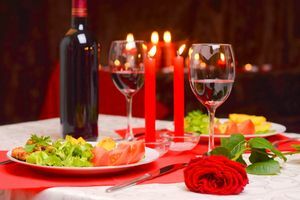 Your answers will create an ideal dinner date idea for you and your partner. Take this inspiring quiz to determine the ideal dinner date idea for your next date night! Whether you want to woo a recent crush or adore a long-time honey, this quiz will give you a starting point.